Siksha O’ Anusandhan University, Orissa will conduct SAAT. (Siksha ‘O’ Anusandhan University Admission Test) SAAT entrance will take place in 50 cities for admission in various Under Graduate and Post Graduate courses in three different campuses. Application forms are available for the SAAT 2019 from 05 December 2018. And, the test will be held on 14 – 18 April 2019 (online mode) 27 April (offline mode). 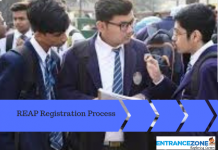 Furthermore, candidates can get the details about the SAAT 2019 Registration Process from the article given below. 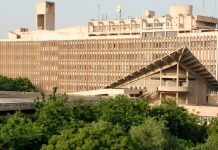 Official Dates for Siksha O’ Anusandhan University Admission Test has been declared. The aspirants can submit the application forms online on the SAAT official website. The university has released the Notification on 05 December 2018. The application forms can be filled by 05 December 2018. Firstly, fill in the name, reservation (General or some other category), your present Qualification, etc. as per asked in the application form. Then, if appearing in the qualifying exam, write appearing. But, such students will have to take their mark sheets and passing certificate to the counselling if selected in the merit list. 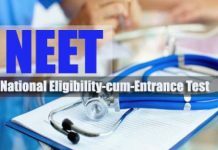 Further, no reservation is applicable for lateral entry programs. Finally, fill the course code of your choice by referring to the information brochure or the image below. For example, For B.Tech. Only – course code is 02. Mention the identity proof that the candidate needs to carry to the examination hall. Example – PAN Card. Fill in the choice of examination. Candidates have to paste a recent photograph with the white background of decent quality. The photograph shouldn’t be larger than the space provided. Mention the signature and identity proof number correctly for future verification. If Candidate has given GATE or any equivalent exam, mention its score in the space provided. Students who qualified GATE or have a composite score of minimum 500 in GMAT/XAT/CAT/MAT are exempted from the entrance test. They will have to submit the fully filled application form. The Candidate must sign the declaration carefully with black/blue ballpoint pen. Candidates have to enclose only the acknowledgement card/application form duly filled up with appropriate stamp pasted. Candidate should not enclose any mark sheet or passing certificate along with the SAAT application form. Candidates should keep a print out of the filled-in application form for future reference. A single application form is sufficient for any possible combination of courses to opt. All the original mark sheet and documents will be required during the counselling, which will be scheduled after the merit list is out. Any further information regarding SAAT 2019 Registration Process and Important Dates will be updated on this page. Stay tuned. 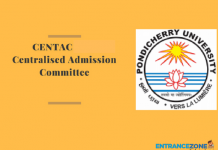 saat 2018 results, saat 2018 admit card, saat mbbs 2019, soa university, saat medical 2019, saat pg 2018, soa university contact number.